This double crusted cranberry apple pie is full of a melt-in-your-mouth fruit filling and covered in flaky pastry dough. Wow your Thanksgiving guests with this holiday pie. Scroll to end of post for giveaway details. After making my Fancy Holiday Chocolate Pecan Pie, I couldn’t wait to use my new pan again. And since I knew I wanted this pie to be another showstopper, I decided it was time to overcome my fear of top-layer pie crust. I had to go big or go home. As I mentioned before, I am up to my ears in cranberries so it wasn’t hard to decide to use them in a pie. I’ve had huge success with cranberries and apples before so I figured that a cranberry apple pie would be perfect. I used the same base dough as the pecan pie but went to Cooks Illustrated for the method of putting the pie together. It gave me a lot more confidence in putting this dessert together to have very clearly laid out instructions. And excuse me while I do pat myself on the back for a second because look at that gorgeous crust! I’m almost sad that Pie Week is ending because I think I just got hooked on pies. 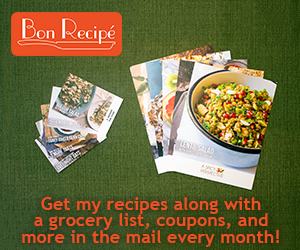 Have you checked out all of the amazing recipes? Which ones will you be making for Thanksgiving? And let me just say, we are ending Pie Week on a high here because I have ANOTHER extra special giveaway, this time from Kitchen Aid! Thank you so much to Kitchen Aid for sponsoring this giveaway! And if you haven’t entered them yet, there is still a chance to win a $500 Amazon gift certificate and a Cabot Cheese / King Arthur Flour package! That IS a gorgeous crust! I have some cranberry baking in the works, but I really want to veer of my planned path and make this pie. I love that pie pan! I am not surprised you were looking for more chances to use it! Cranberry and Apples are the perfect festive blend- I’m sure this was absolutely delicious! I’ve never made a not-round pie. It looks so fun! I crave cranberry all the time, and putting it into an apple pie -AND A GORGEOUS PIE AT THAT!- is something I’ve never tried. Off to remedy THAT right now! I love that you made your pies rectangular. High crust to filling ratio, which is always a good thing. So pretty! What a festive pie! :D I love that flavor combo, too.